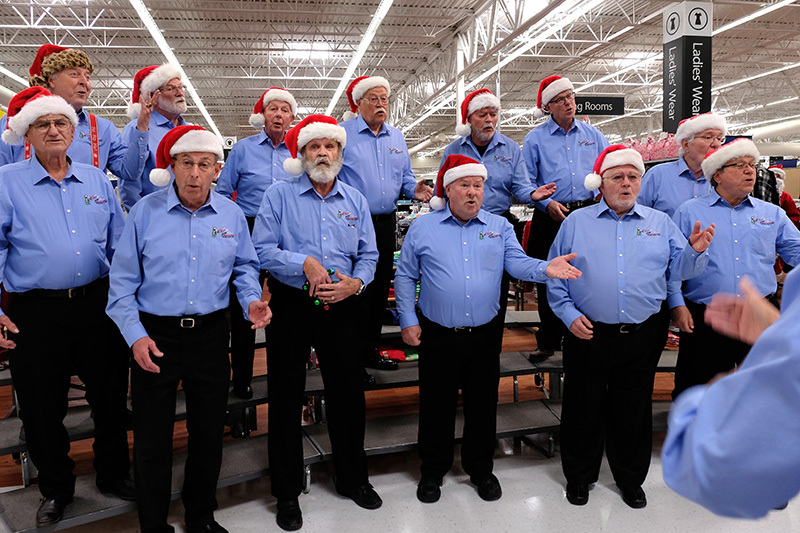 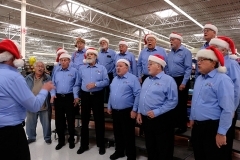 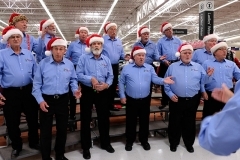 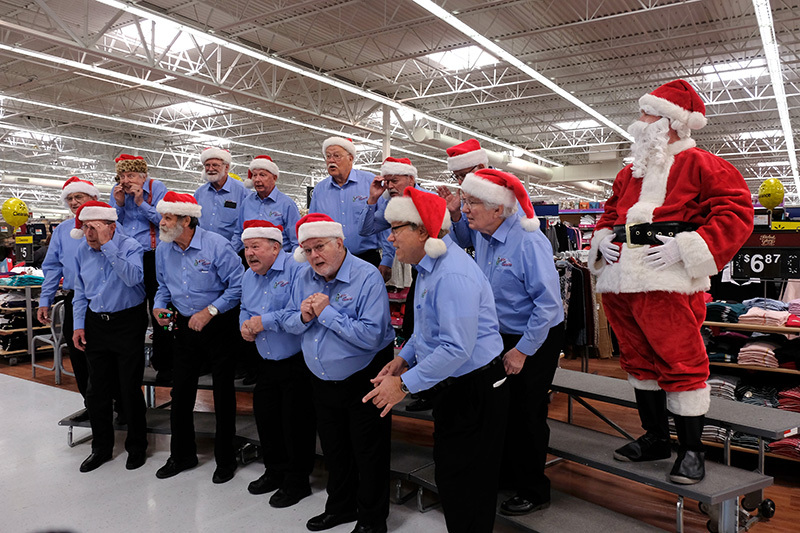 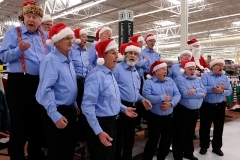 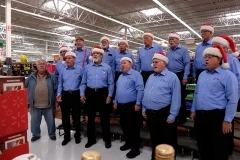 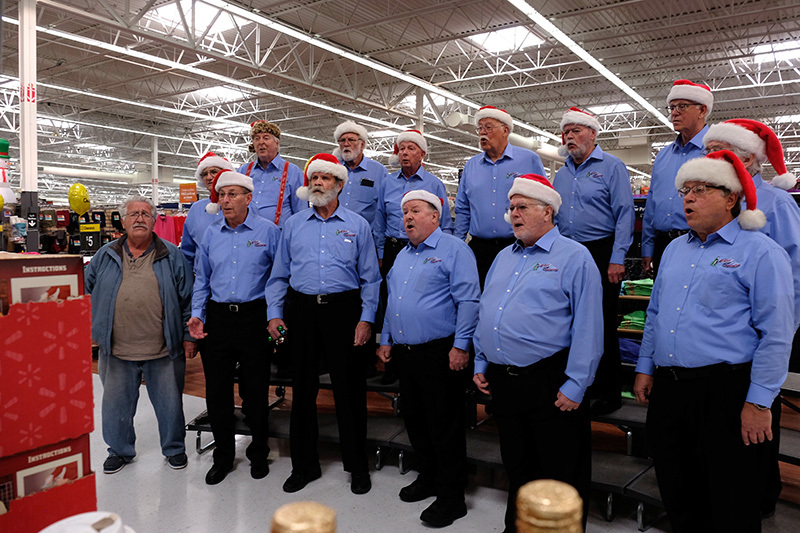 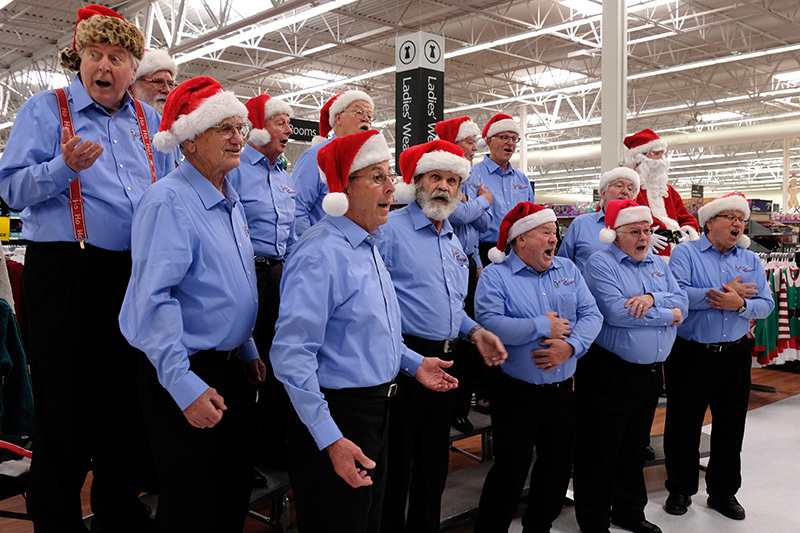 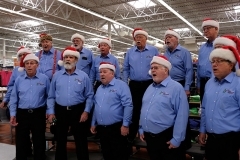 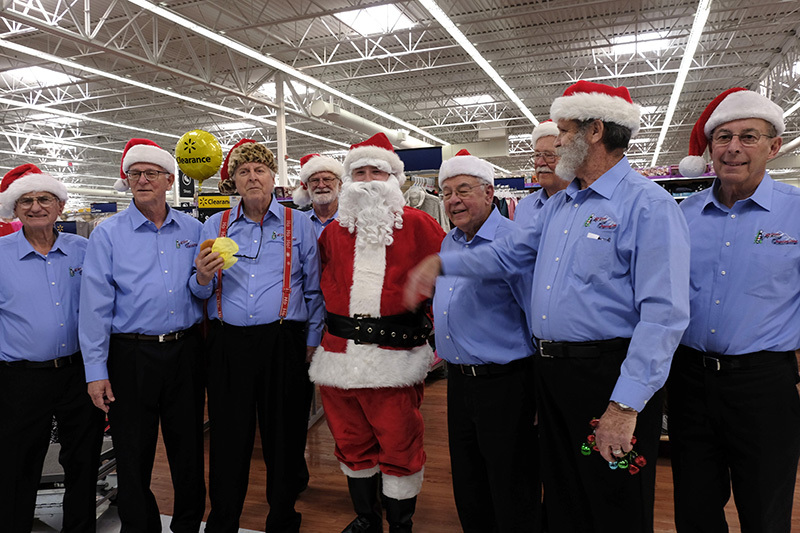 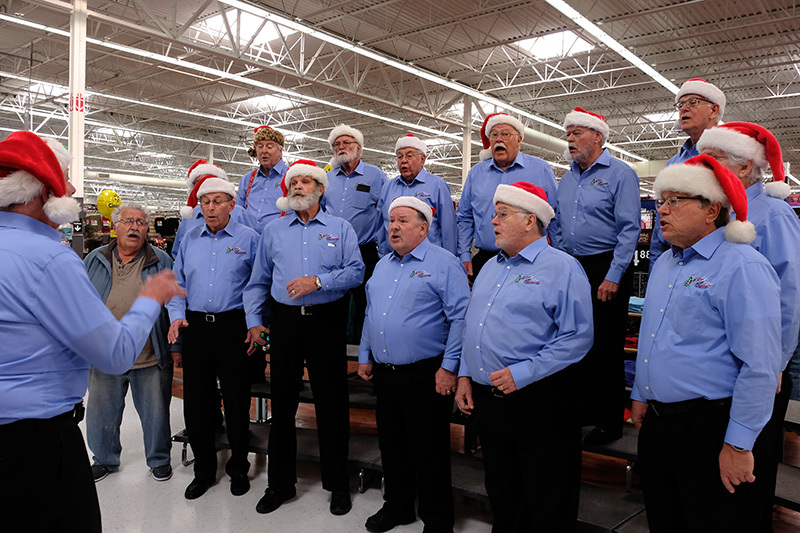 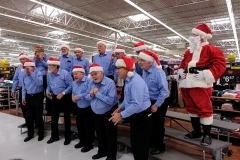 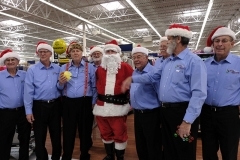 Members of the chorus gather at Walmart to sing during the Christmas season most years. 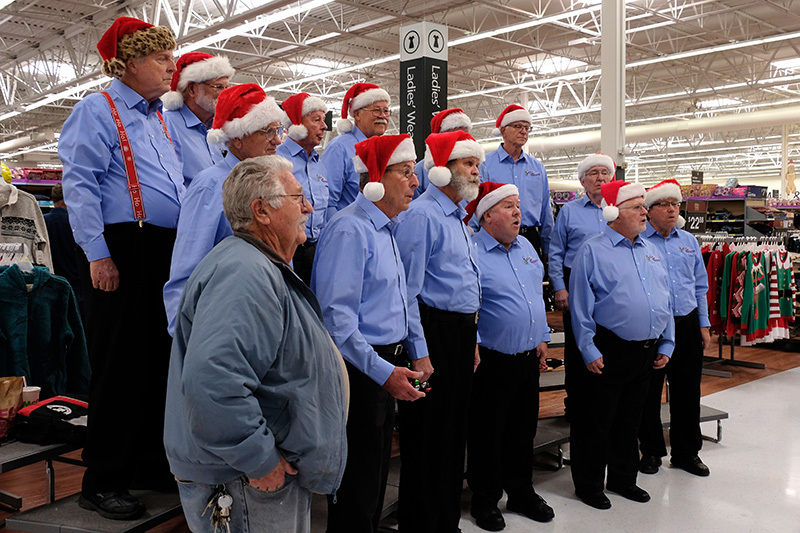 It usually isn’t the entire chorus, but more like a VLQ (very large quarter) containing all four parts for harmony. In 2016 our VLQ sang at the Show Low, AZ, store.